← i love to eat, but do i deserve my food? It’s no secret that my cousin is the amazing Will Allen of Growing Power. If you don’t know who he is…visit Growingpower.org and buy the book The Good Food Revolution. Life changing…world changing are all understatements. Recently, I’ve been checking out designer Ron Finley’s approach. Now if we could only multiply these men by thousands. There’s a whole bunch of tilapia in there, and I’m holding the net like I know what I’m doing! I did nothing BUT hold the net. 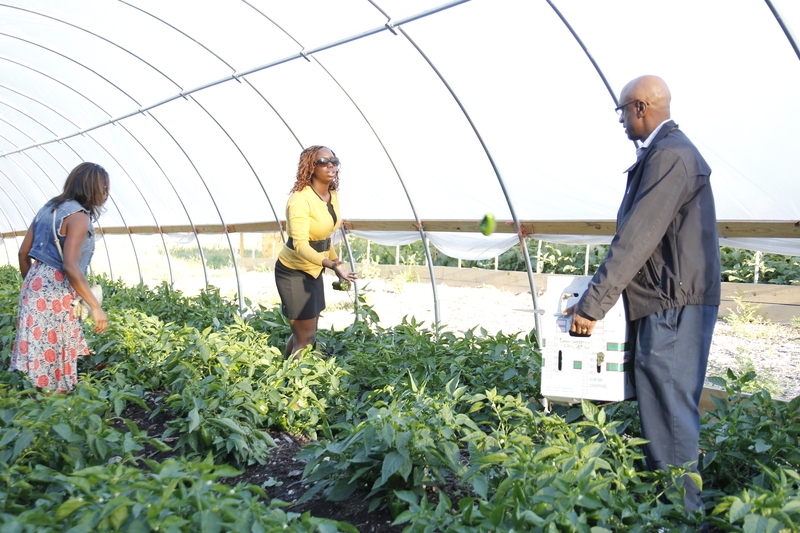 This fall I had the opportunity to visit Growing Power in Milwaukee, WI. The greenhouses, the fish systems, the bees, the goats, the chickens — it was all unreal (being that in the tri state area…I don’t see this often). Having attended my cousins lectures in the past, it’s still like it’s brand new each time. Learning about composting for soil, for heat, for power…and about the importance of worms, eeeew! 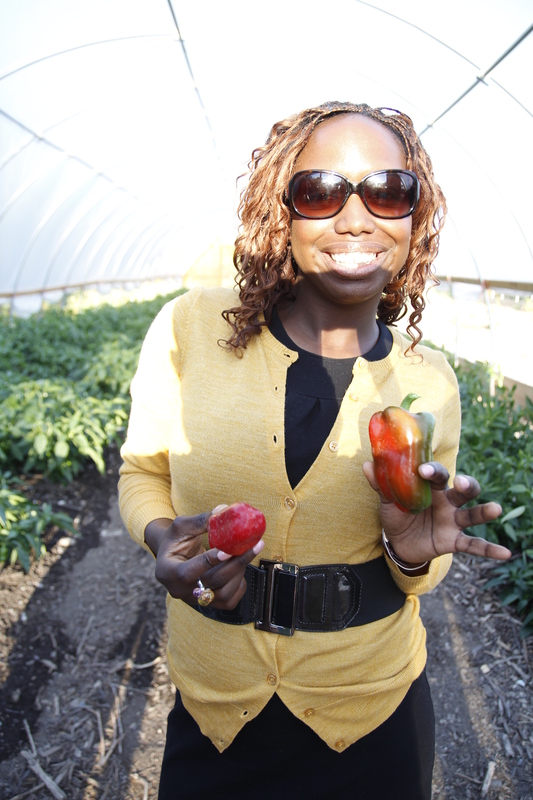 picking peppers, in one of Growing Power’s hoop houses in an abandoned schoolyard! 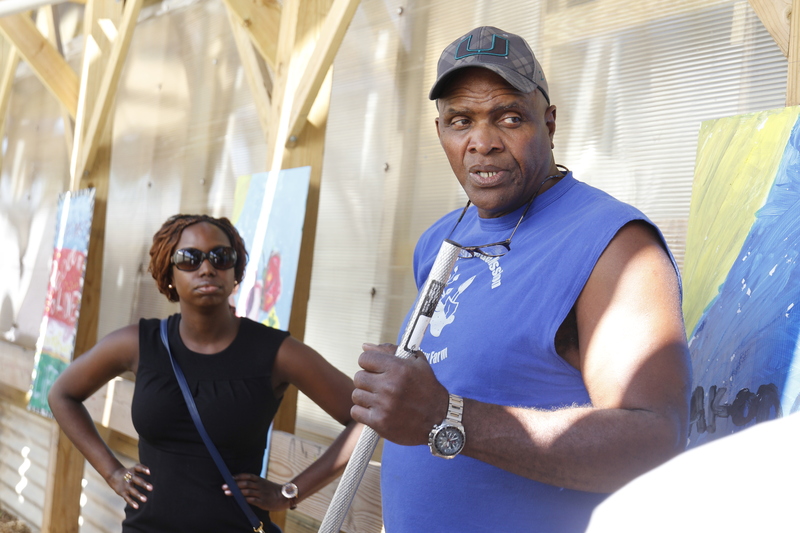 GP builds these hoop houses which enables them to grow farms just about ANYWHERE! I’m talking abandoned schoolyards, abandoned fire houses, you name it! As a musician, I run into people of all walks of life and the one constant among them all is sustainability. Self sustainability. How can we be in control of what we are putting into our bodies? What we are disposing and putting into our environment? 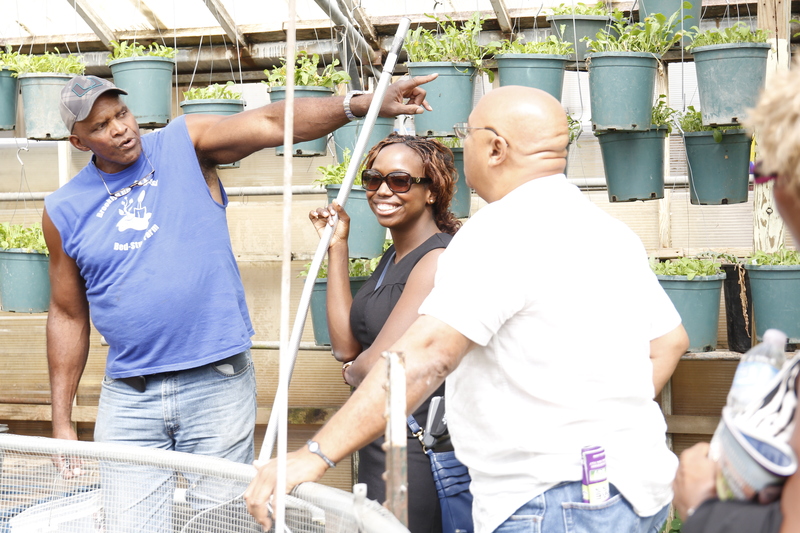 Living in NY where space is a challenge, there are community gardens, rooftop gardens and plenty of efforts to help each and every one of us take control of our future. 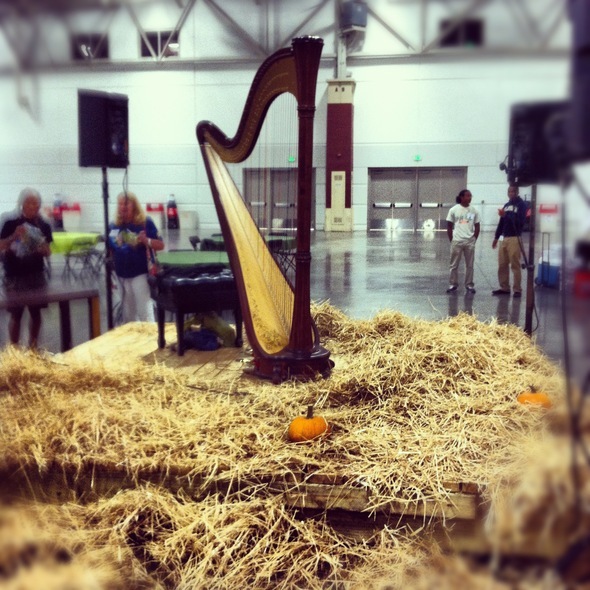 Ever seen a harp on Hay? After playing at the 2013 Urban & Small Farm Conference. Learn how you can help Growing Power, and also learn how you can contribute to the building of the world’s first 5 story vertical farm! Purchase an eco friendly journal! This entry was posted in eating well, health, sustainability and tagged eco, garden, harp, health, music, musicians, organic, sustainability, urban farming, will allen. Bookmark the permalink.